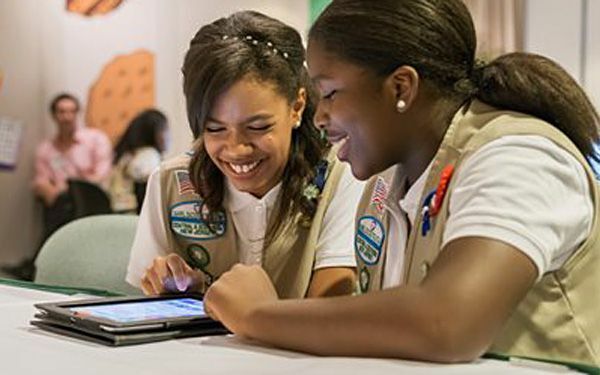 The Girl Scouts are going digital. The want to sell you cookies. The cookie sales began nearly 100 years ago. 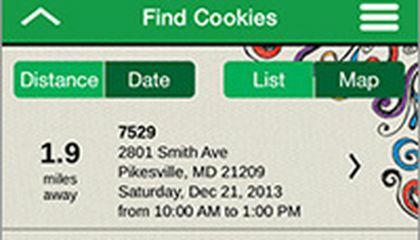 Now Girl Scouts of the USA will allow sales by using a mobile app or personalized websites. The cookies can be shipped directly to your doorstep. "Girls have been telling us that they want to go into this space," said Sarah Angel-Johnson. She is chief digital cookie executive for the organization. Cookie sales begin this month. More than 1 million scouts were expected to use the new method. In the past, only paper spreadsheets have been used. How much money is made? The Girl Scouts bring in an estimated $800 million in cookie sales a year. Cookies cost anywhere from $3.50 to $5 a box. "A lot of people have asked, 'What took you so long to get online?' said Kelly M. Parisi. She is an executive for Girl Scouts of the USA. The mobile platform can be used on a phone or tablet. "They can get them quicker than waiting for me to deliver them," offered 11-year-old Priscilla. The adults at a preview event asked that only first names of scouts be used. Added 7-year-old Anna: "My favorite part is that now I can sell more Girl Scout cookies." She pulled down about 200 boxes last year. This year, her goal is 600. Girl Scouts use their cookie money to pay for community service work or troop activities. Those include camping and other trips. A lots of people have asked for cookie.The mobile platform can be used on a phone or tablet . i cant believe theres a app for buying girl scout cookies.but that is a good idea.